Tower of the Hand: A Flight of Sorrows was a book jam-packed with insightful analysis of the Song of Ice and Fire series, but it only barely scratched the surface of the huge and complex world that author George R.R. Martin has created. A second anthology, then, is not only desirable, it’s absolutely critical to unearth all that Martin has tucked away into the many dense folds of his narrative. 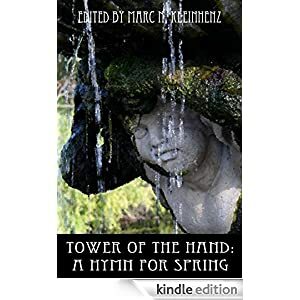 A huge swath of bonus material, including additional essays from the Hymn for Spring authors – and their special guests – and sneak previews at the next big projects from the Tower of the Hand editors. Steven Attewell, the mastermind behind Race for the Iron Throne, brings his political and historical expertise to bear on the effectiveness of Machiavellianism in the game of thrones and the economic gamesmanship of Lord Petyr Baelish. The founder of Wars and Politics of Ice and Fire, Jeff Hartline, makes readers fundamentally question their understanding of King Stannis Baratheon. And History of Westeros co-hosts Aziz and Ashaya offer the single most authoritative account of the history – and mythology – of Harrenhal, while Tower of the Hand/Wars and Politics of Ice and Fire contributor Jim McGeehin does the same for Robert’s Rebellion. Stefan Sasse, from the Boiled Leather Audio Hour and The Nerdstream Era, determines the effects that patriarchy and civil war have had on the Westerosi psychological makeup. A Podcast of Ice and Fire co-host Amin Javadi investigates the nature that songs and singers play in the various cultures of the Seven Kingdoms, and, even, in the nature of the narrative itself. And Tower of the Handco-founders John Jasmin and Alexander Smith expand the focus to include both an exploration of how HBO’s Game of Thrones simultaneously improves and degrades Martin’s original story and a look at traditional games to help predict the success of all those who play the game of thrones. A Hymn for Spring is available for pre-order today, with a release date of April 22, 2015. Done! Oh I can’t wait to read it..! Already read your essay about the songs & singers twice, Amin – absolutely love it!